On Wednesdays after the kids go to bed Taylor and I usually go out. Like, not OUT out, not like a date night or anything. We go to the comic book store down on Granville Street so Taylor can get his weekly comics, and I usually make him go with me to my favourite store HomeSense to look at all the stuff. 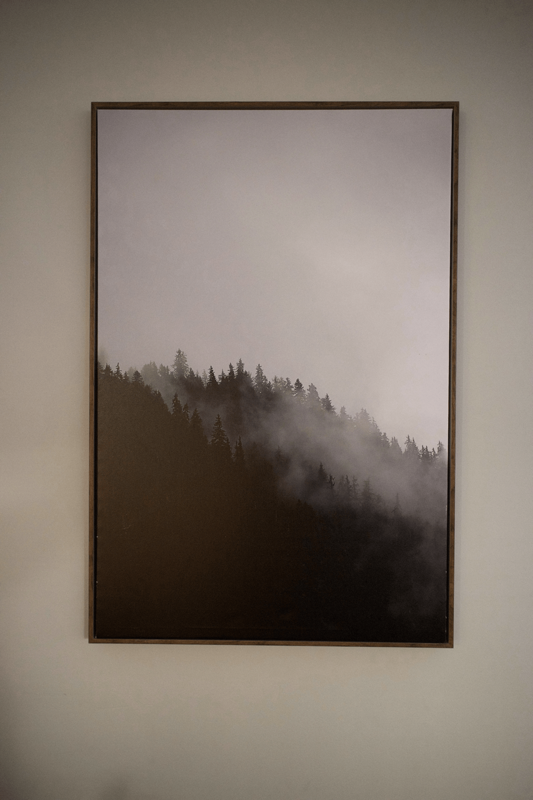 I was idly browsing kitchen gadgets when he suddenly called to me “I FOUND A BLEAK ART.” A little backstory, about a year ago I was there and found a canvas print of a landscape that I fell in love with. It’s a photograph of a range of mountains growing paler as they recede into the distance, mist in the valleys, all in shades of grey. I immediately bought it for our dining room wall. I call it my bleak art BUT that sort of vista is one of my FAVOURITE things to look at, second only to the same vibe, but with trees. The print that Taylor had found was the same vibe, but with trees. I told him I loved it and he offered to buy it for me, as an anniversary gift. We had decided not to do gifts this year as we (especially me) are quite broke, but I just loved this print so much! We walked around the rest of the store to see if there was something better (I even offered to make the ultimate sacrifice and get towels instead, because the towels we received as a wedding gift ten years ago have mostly all disintegrated and as such we only have six bath towels for our family of five people, hashtag minimalism). But in the end the art was the thing. When we took it up to the cash desk the sales associate had a real moment with it. He glanced at it and said “good choice” and then looked again, longer and said “REALLY good choice,” with real emotion. He asked us if we “drive around a lot” and I replied “sometimes we go up to Kelowna?” (Taylor’s hometown, a forest-y, mountain-y scenic four hour drive away) and he was like “YES! It’s like that!” and really it is. I had thought I would put the new print up in the bedroom, but after I got home I realized the new bleak art complimented the old one perfectly: it’s the same size (although oriented vertically rather than horizontally) and the frame is the same colour. Isn’t it funny, finding this matching pair almost a whole year apart? I hung the new one on the adjacent wall in the dining room (where it hides a spot where someone unfamiliar with removing Command hooks damaged the paint) and I can see it from almost every part of the front of the apartment, where it reminds me of the forest, and the mountains, and peace, and having a partner who knows me so well that in a whole huge store full of miscellaneous items he found the one thing I would really and truly love. 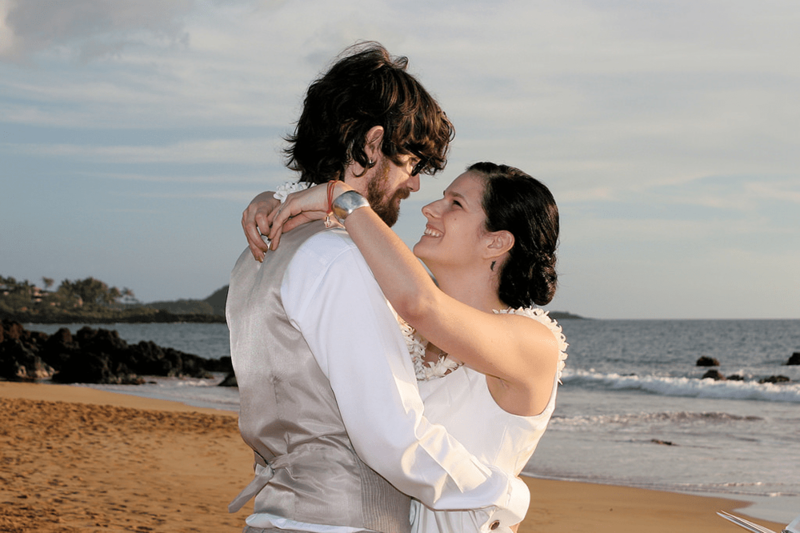 Happy tenth anniversary Taylor, you are my heart.